If you've headed over to this post via 5 Minutes for Books then welcome! As I mentioned over there, I recently received a stack of children's Bibles from Tyndale Kids to review. I've come to realize that it does require some thought to know how you'd like to present the Bible to your children. With so many options out there, it is hard to narrow down which ones you would like to use. It can be somewhat overwhelming. Hopefully this post will help you narrow down your options or just make you aware of what's out there. I received several that we went through as a family, making lists of pros and cons and deciding which ones we thought might be used effectively for us. Our top favorite was The One Year Children's Bible. It nicely breaks down the stories from day-to-day to cover the "main points" (shall we say?) in a one year time frame. Out of the set of Bibles we received, this was the only one that started with Creation and walked through the New Testament fairly consistently all the way to Revelation. We appreciated this very much and plan on using it in our devotional time together. We liked the lay-out, found the illustrations beneficial without being too distracting and generally enjoyed it. We feel like we can highly recommend this one. I have to say that looking through a variety of children's Bibles was a very enlightening experience. Flip through a few and you can generally tell the state of the church in America today and I'm guessing you'll also get a feel for what the most popular stories in Vacation Bible School are. It's a very interesting observational study. As I mentioned in the 5 Minutes for Books post, I am giving away a copy of Bibles Stories for Growing Kids by Francine Rivers. (To read a description of that particular Bible, visit my post on 5 Minutes for Books.) If you were interested in winning that, please leave a comment on this post. Thanks for stopping by! Contest to remain open through Friday, September 19th. I will select the winner with Random.org. Make sure you leave a way for me to contact you if you win! I love Francine Rivers' writing, so I'm sure this is a great book! Great gift for the great-grandchildren. Count me in! I have three Grandchildren. I would love to win these Bibles to read to them. Great review. Thank you for the referencing to the website. My son loves to read bible stories. My youngest daughter has outgrown her toddler bible and needs new ones, what a great contest! I would love for my kids to have this. Thanks! I'd love to be entered in the Francine River's giveaway, if you don't mind shipping to Canada. 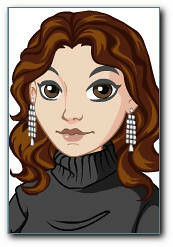 I love Francine Rivers and would love the opportunity to win a copy. Thank you for the offer! God bless you! What a perfect prize! Thanx for the chance!!! I am so excited that you reviewed this...I have been wanting to find a good toddler Bible for my baby girl. Thank you so much! My sister would love this. Please accept my entry. I would love to win these for my grandchildren. I love Francine River's books and I would be very intrested in this book!! This would make a great starter bible story/stories for my niece. 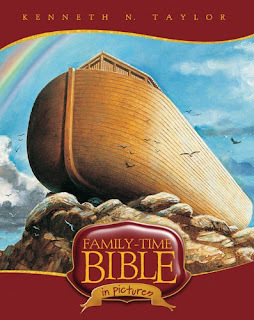 We are using the Family-time Bible in Pictures this year for our oldest daughter's homeschool kindergarten bible study. We really like it so far. You are right - the illustrations are very nice. I would love to win. I love Francine Rivers' adult books. I'm sure this is great too. Grandma always tells me to just get the kids something from her for Christmas. This would be perfect. What a great way to spend some time with my grandsons, reading Bible stories written by such a fine writer. My two little ones would love this! They love reading stories and I love reading them Bible stories that are written for little ones so they're easier to understand. We are looking for a new bible study book and this one looks great! Especially Francine Rivers . . . This sounds like an excellent Bible! Thanks for the chance! This would be great for our kids. I love to read bible stories to our grandchildren. I wanna win!! This would be a nice introduction to the bible for my little granddaughter. This would be great for my son to take to church every Thursday night for Caravans. Thanks. Our boys would love this. I sure hope this gets posted. I am never sure when I can't choose an identity, but I have read everything Francine Rivers has every written and would love to have this book also. Love her style of writing. Being a Grammie to three grandsons 5,3 and 1 and trying to get them to sit still to read Bible stories after the excitement of videos I am interested in the Francine Rivers try at it. My 5 year old grandson said Grammie please just read me the words from your Bible! Thanks for your blog! This would make a wonderful present for any child. I would give this to my niece. 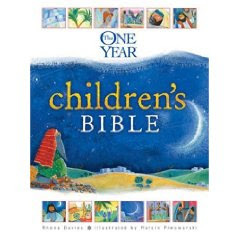 A wonderful way to present the Bible to small children. This would be such a lovely gift for my daughter and her growing family! When she was little, she had a Bible Stories Book that was made for kids and she loved it! I'm sure her kids would love this one! I have three children who would love it if I won this! Please enter me & thanks for the contest. Wonderful prize. Please count me in! Thank you for the nice giveaway. I'd love to win for my son! This would be great reading and sharing with my kids. i would love this for my grandkids. My son would really enjoy this. Sounds good, my daughter or son's kids would love that! Great giveaway, Carrie! Please enter me. Would love this for my grandkids. It sounds like a book my 8-year-old daughter would really like. One of my daughters will only allow her little girl to read Bible related stories, so this would be great for my granddaughter, sometimes I have a hard time finding new books for her! My husband always reads bible stories to our kids at night. We'd put this book to good use too. This would be fantastic! I'd love to start reading the Bible to my little guy and I don't have anything good right now. I would love to try this book! It looks lie a great one for bedtime devotionals. Thanks for the opportunity! My seven year old son just loves reading children bibles. He says each one has something new in it. I am so proud of my son wanting to learn everything he can about the bible. He lost his two bibles last year in a house fire and I think this would be prefect for him. Please enter us in the drawing please! Thanks! I feel it's very important to make religion a normal part of life especially in this day and age where morals and values are eroding, and the younger generation is out of hand. Reading is important but reading the bible is even more important. My grandmother used to read me Bible stories and they still remain some of my favorites. Especially Daniel in the Lion's Den. My daughter would this. Hope we win. My granddaughters would love this. Out here in the country, we don't have television, this would be great for my grandbabies. This would be fantastic for my niece. When she got out of Sunday school last weekend, her mom took her to the mall. She saw a woman getting arrested for shoplifting and wanted to know if she was going to prison with Peter. At least she was paying attention. Reminds me of my Mom reading Mrs Hurlbut's Bible Story book to us when we were children. I am a church caretaker and occasionally i read to the children. this would be a wonderful resource! Would be perfect for my little one, she would enjoy it. I love Francine Rivers, so this is very exciting. Would love to win this for my kids. Thanks for the chance. Would love to read this to and with my kids! Thanks! I sure do love childrens Bibles! I hope Canadians can enter! I would love to give this to my brother's kids. He has 3 little girls and a little boy all under 8. They've only been going to church for about 2 months now and this would be perfect for them. uld love to win this for my son. This would be an ideal gift for my great grandson. Thank you for the chance Our children can never have too many books that teach them to glorify God! This would make a great gift. Thanks for the giveaway. Sounds like a great book to have in the house for children! Beautiful books-thank you for the chance to win! I'm definitely interested in this book for my children. Thanks! What a great prize to win! I just love her. I'd love to have this to read to my boys. It looks like an interesting book. Thanks for the giveaway!! My son would enjoy this book! Thanks! Would love to get this for my grandchildren. They would love the stories. I was trying to think of a way to introduce the Bible to my daughter who is 2.5 and this sounds fantastic. 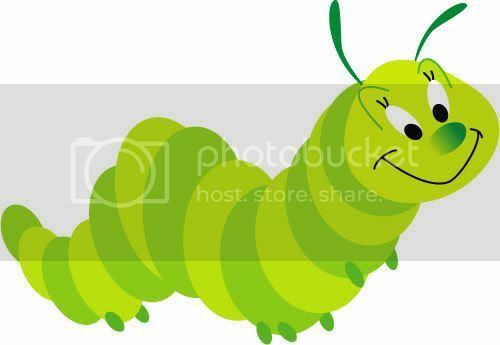 I thought the illustrated one I used as a child was still over her head. Thanks! Id like to win Bible Stories for Growing Kids. This would be great! I would love to give this to my niece! I am so glad to see the number of responses for a Bible for children. It seems like so many children today have no idea what a Bible is and only have a vague knowledge of so many of the great stories. Thanks for the opportunity to participate in this giveaway! Great gift for the my grandsons! ty 4 the great contest! My boys need a more age-appropriate Bible...this one sounds great. thanks!